CODEit allows children aged 3 up to 17 to turn their ideas into reality through different programming, 3D modeling and animation tools. The learning tools used in CODEit workshops are free of charge used by thousands of children worldwide. 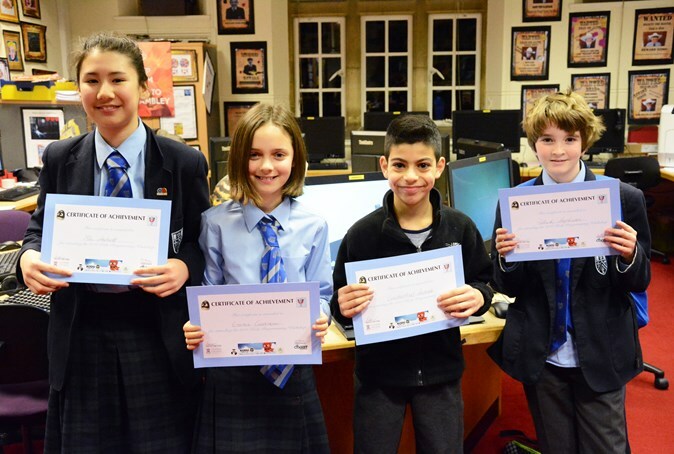 CODEit workshops are delivered at your school ICT facilities and will provide a fun learning environment that is closely aligned with the ICT KS1, KS2 and KS3 requirements. 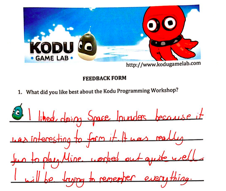 Certificate of conclusion and feedback from pupils who attended CODEit workshops. The United Kingdom government established the following guidelines for ICT KS1, KS2 and KS3. 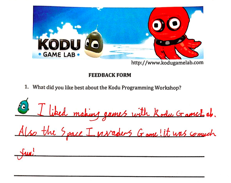 CODEit workshops were built with a hands-on and ease of learning in mind. Our workshops start by showing the end result of a game, 3D model or animation, then we help the children to build their own project by teaching them the key techniques required. At the end of the workshop, the children will have a built project to be proud of along with our certificate of achievement. Workshops range from 4 to 12 weeks in duration and we suggest a maximum of 10 children per class. Our workshops are delivered at your ICT facilities under your school guidelines. We will work with you to ensure your ICT lab is configured accordingly. Why not meet to discuss our workshops in more details? 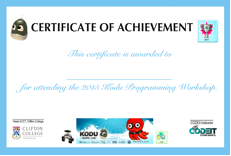 We also provide a 30% discount for the first CODEit workshop delivered at your school.